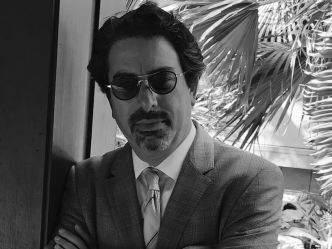 Michael Fasano is founder and President of Fasano Associates, a leading underwriting consulting firm serving the life, annuity, workers compensation and life settlement markets. Before starting Fasano Associates, Mr. Fasano served as President of Trans-General Life Insurance Company; and before that, he worked as Investment Advisor for a large internally managed pension fund. Mr. Fasano started his career at the White House Office of Management and Budget. Mr. Fasano received his B.A. from Northwestern University and his M.A. from the University of Wisconsin, Madison. He currently serves on the Board of Visitors for Northwestern University’s College of Arts & Sciences. He also serves as a Board member of the Institutional Longevity Markets Association (ILMA) and the European Life Settlement Association (ELSA). He is a frequent industry speaker and has published articles in Best’s Review, Pensions and Investments, and the National Underwriter. Tim Gordon is an actuary and partner in Aon’s UK Risk Settlement Group and leads Aon’s demographics analytics – Demographic Horizons™. Tim’s work over the past few years has included advising reinsurers on best estimate mortality in relation to UK pension plan-related transactions for c.£100bn of liability and providing the longevity technical expertise on the structuring of c.£15bn of longevity reinsurance. 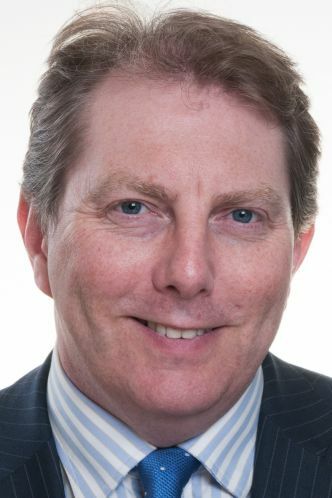 Tim has held various roles at the Institute and Faculty of Actuaries, and has only just stepped down as chair of the UK CMI’s Mortality Projections Committee, which produces the standard annual mortality projections for the UK actuarial profession. Tim has published a number of thought leading papers in the areas of financial economics, pension plan funding and sponsor covenant assessment. Amy Kessler is senior vice president and head of Longevity Risk Transfer within the Pension Risk Transfer business of Prudential Financial, Inc. (PFI). In this role, Amy leads PFI’s longevity reinsurance business globally and serves on the senior leadership team for PFI’s pension risk transfer efforts in the United States. 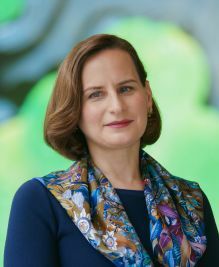 In 2011, Amy led PFI's successful launch of its longevity reinsurance product and, together with her exceptional team, has closed nearly $60 billion in international reinsurance transactions since, covering members of more than 200 pension funds in the United Kingdom, including British Airways and Rolls-Royce. In 2014, Amy led PFI’s reinsurance team in the largest and most innovative longevity risk transfer transaction on record for the BT Pension Scheme. This transaction was recognized as “Deal of the Year” by Risk Magazine and earned PFI top honors as “Reinsurer of the Year;” an honor they have now received for four consecutive years (2014-2017). With nearly 30 years of experience, Amy is an innovator whose work helps pension funds proactively manage longevity risk and create retirement security for their members. Kirsty Maclean is a senior associate in the London office of Willkie Farr &Gallagher (UK) LLP and member of the Corporate and Financial ServicesDepartment. She advises insurance, reinsurance and other financialinstitution clients on a broad range of non-contentious matters. Ms.Maclean has particular expertise advising on complex (re)insurancetransactions (and related security arrangements) and regularly advises onlife and pensions risk transfer transactions in the United Kingdom. Herpractice also includes advising on policy wordings, (re)insurance businessrestructurings and capital optimisation projects, regulation of (re)insurersin the UK and Europe and the interface between (re)insurance and thecapital markets. Ms. Maclean has gained substantial experience working in-house in the insurance and reinsurance sectors. In particular, she advised Swiss Re’s life and health structured transactions business in Europe and Asia from January 2013 until she joined Willkie in December 2015. Moshe A. Milevsky is a professor of finance at the Schulich School of Business, a member of the Graduate Faculty in Mathematics and Statistics at York University in Toronto, a fellow of the Fields Institute for Research in Mathematical Sciences and is on the editorial board of numerous academic and practitioner journals. He has published 15 books and over 60 peer-reviewed articles in the areas of financial mathematics, pension economics, actuarial science, as well as the history of annuities. His most recent (2019) book is entitled: Longevity Insurance for a Biological Age: Why Your Retirement Plan Shouldn’t Be Based on the Number of Times You Circled the Sun. lenders in acquisition, asset-based and leveraged financings. Prudential Financial on its quota share reinsurance of a £3.4 billion longevity transaction with MMC (Marsh & McLennan Companies) pension fund.